The day before their wedding in 1840, Albert offered a gift to his soon-to-be bride. 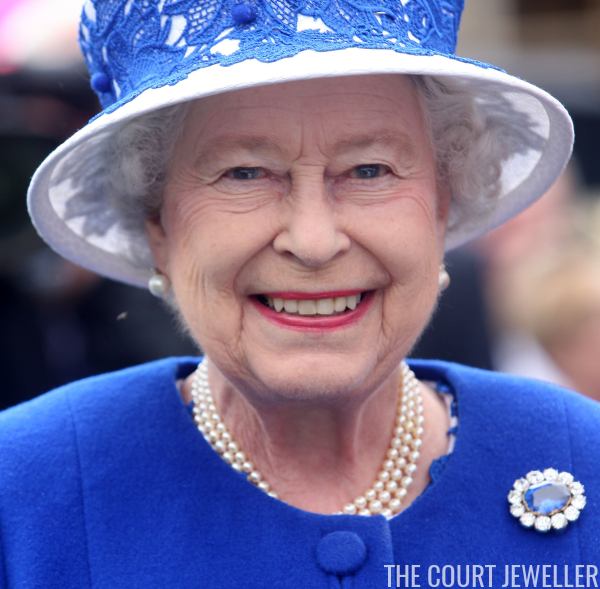 The bauble, a sapphire and diamond brooch set in gold, was received by Victoria with enthusiasm. In her diary, she noted that Albert had given her "a splendid brooch, a large sapphire set round with diamonds, which is really quite beautiful." 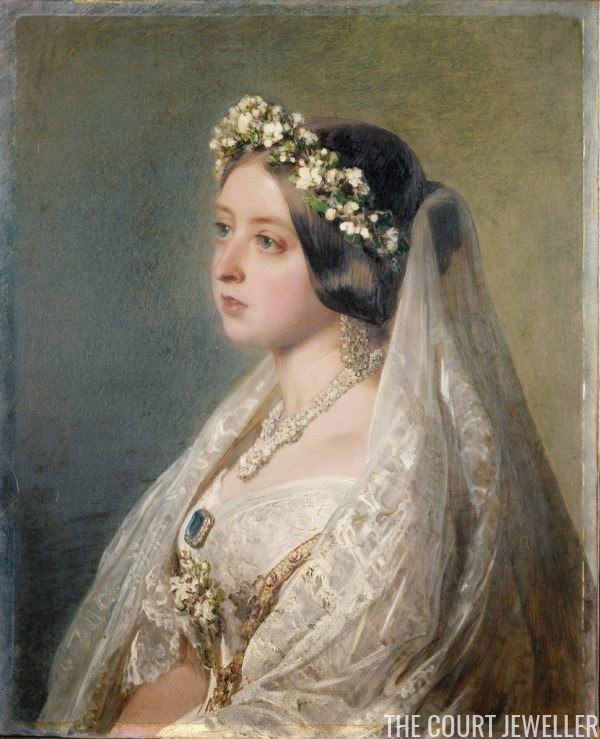 Victoria was so enamored with her new brooch that she wore it on her wedding gown the following day, pairing it with a demi-parure of jewels made out of diamonds that had been given to her by the Sultan of Turkey. 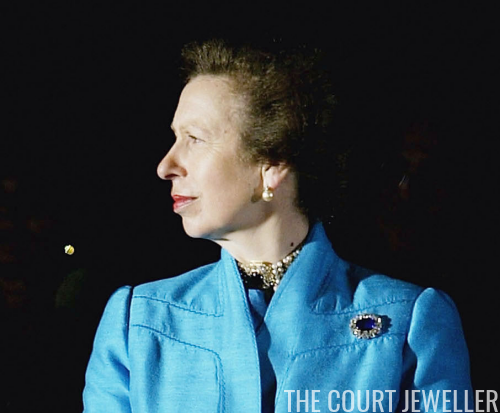 Leslie Field describes the brooch as "a large oblong sapphire surrounded by twelve round diamonds"; the Royal Collection adds that the diamonds are "mounted in open-backed collets." The Royal Collection also notes that the maker of the brooch is not known; it could have been made either in England or in Albert's native Germany. 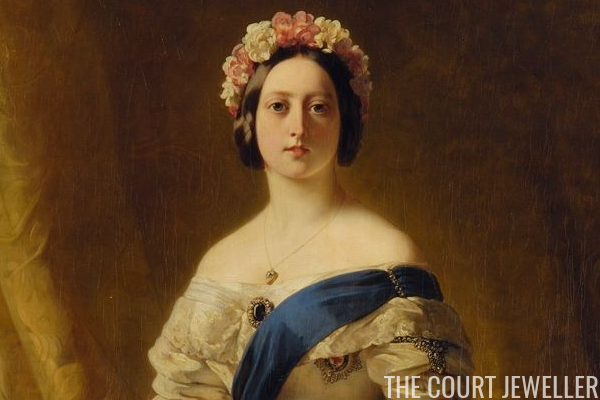 For the next twenty years, Victoria wore the sapphire brooch regularly. Field points out that she even posed in the brooch in a lithograph that was widely and inexpensively distributed to her subjects. But as was the case with so many of Victoria's jewels, the brooch was rarely worn after Albert's death in 1861. Even so, Victoria always retained a clear sense of the piece's significance, and it was one of the items that she designated as an heirloom of the crown in her will. In Britain, jewels that are earmarked as "heirlooms of the crown" are specifically intended for the use of queens regnant and consort, and indeed, Prince Albert's brooch has been worn by all four of the women who subsequently held those positions. 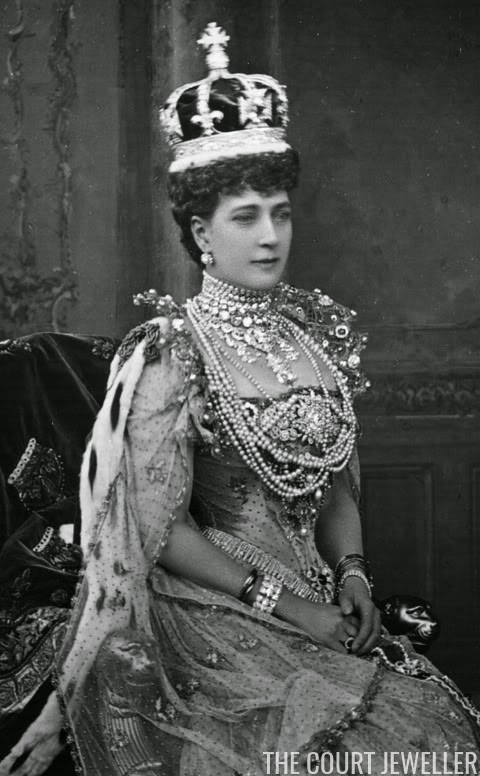 Queen Alexandra wore the brooch (along with virtually every other jewel in the kingdom) pinned to her gown at her coronation in 1902. You can just see the sapphire brooch at the edge of the Alexandra's neckline in this photo; the piece is partially obscured by the ropes of pearls. Subsequent queens -- Mary, Elizabeth, and Elizabeth II -- have used the brooch mostly for daytime occasions. 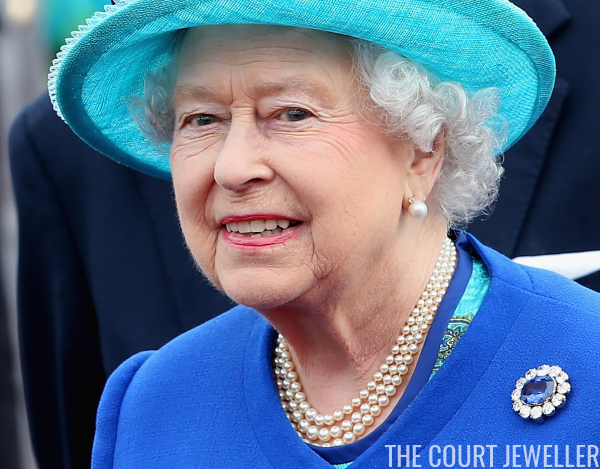 Queen Elizabeth II wears the brooch on a fairly regular basis. Above, she wears the piece for a garden party at Balmoral Castle in August 2012. As a final side note: intriguingly, we know that Victoria also owned at least one copy of the Albert Brooch. 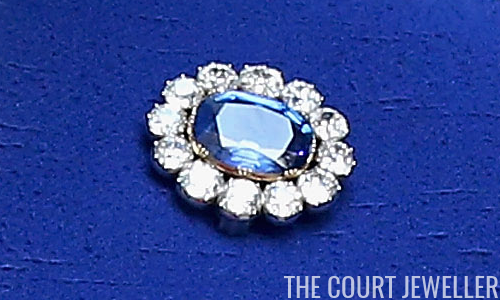 According to the Royal Collection, Albert had another sapphire brooch made in 1845 as a present for the Queen's twenty-sixth birthday; they quote her diary entry on the subject, in which she describes the gift as "a beautiful single sapphire brooch, set round in diamonds, much like the beauty he gave at our marriage, only not quite so large." The second brooch was inherited by Victoria and Albert's third daughter, Princess Helena. There's some speculation that it was eventually sold at auction and purchased by Queen Elizabeth II for Princess Anne, though that has never been conclusively proven.